I bought a big head of cauliflower last week. I used some to make roasted cauliflower and pumpkin pasta, the next day I put some cauliflowers into the rice cooker and cook everything with salmon and tomatoes, very nice cauliflower rice with salmon. 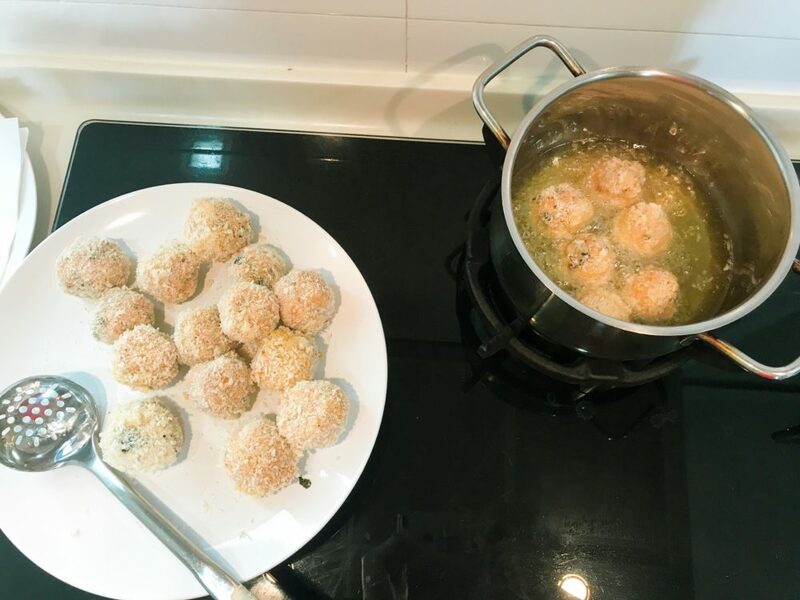 Since I have about 2 more portion of salmon cauliflower rice for the next day, instead of heating up everything and eat the same thing again, I just turn them into Risotto-ball like rice balls. Yummy. That was my leftover salmon cauliflower rice. Simply delicious. After spending a night in the fridge, let’s turn them to something new for lunch or snacks. Making the rice balls …. Step 1. Take out the leftover rice from the fridge. Step 2. 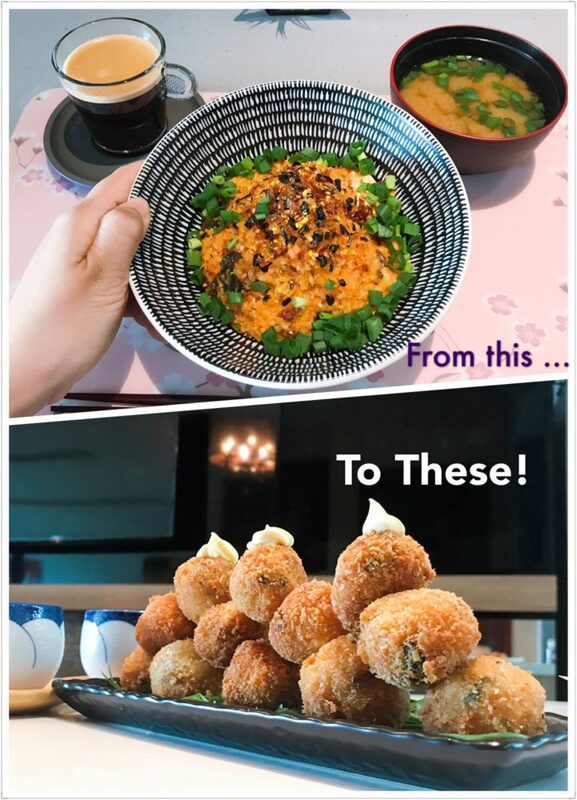 Shape the rice into small ball shape. Step 3. 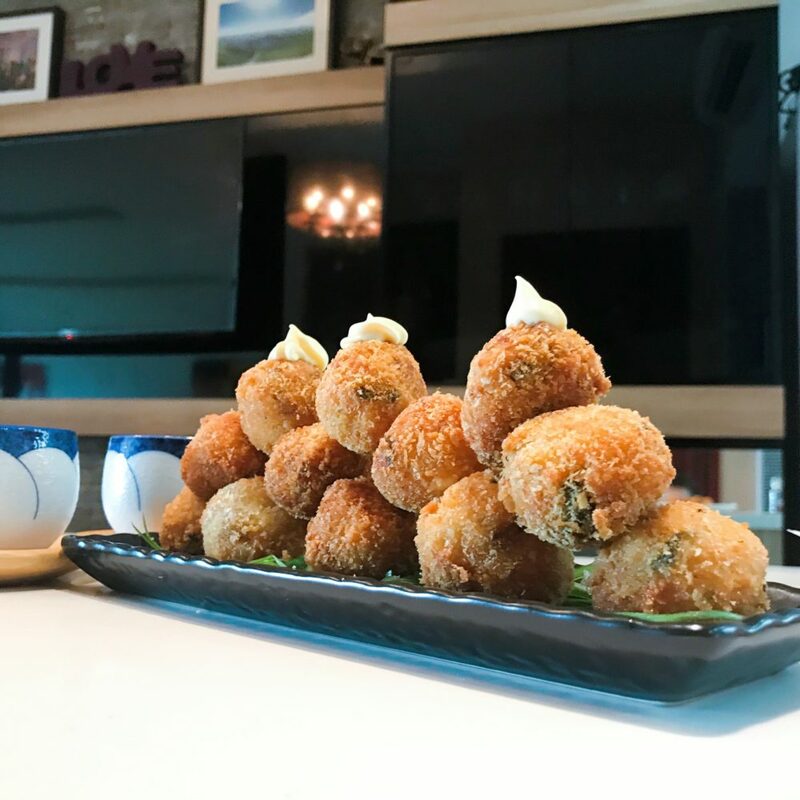 Put the naked rice ball into egg mixture and coat them well. 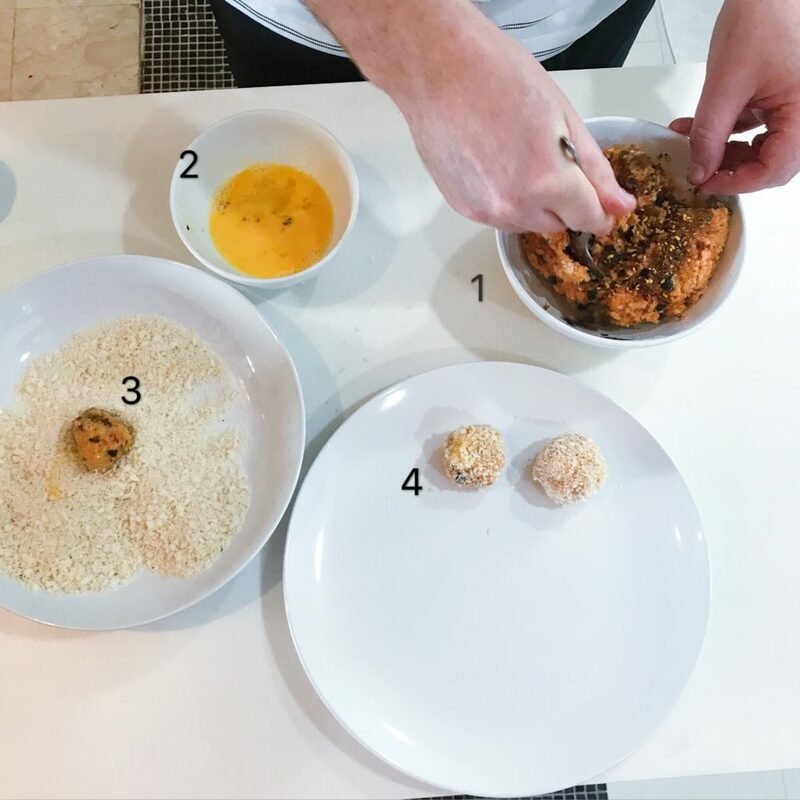 Step 4: Transfer rice balls to dry Panko mix, coat well with Panko. 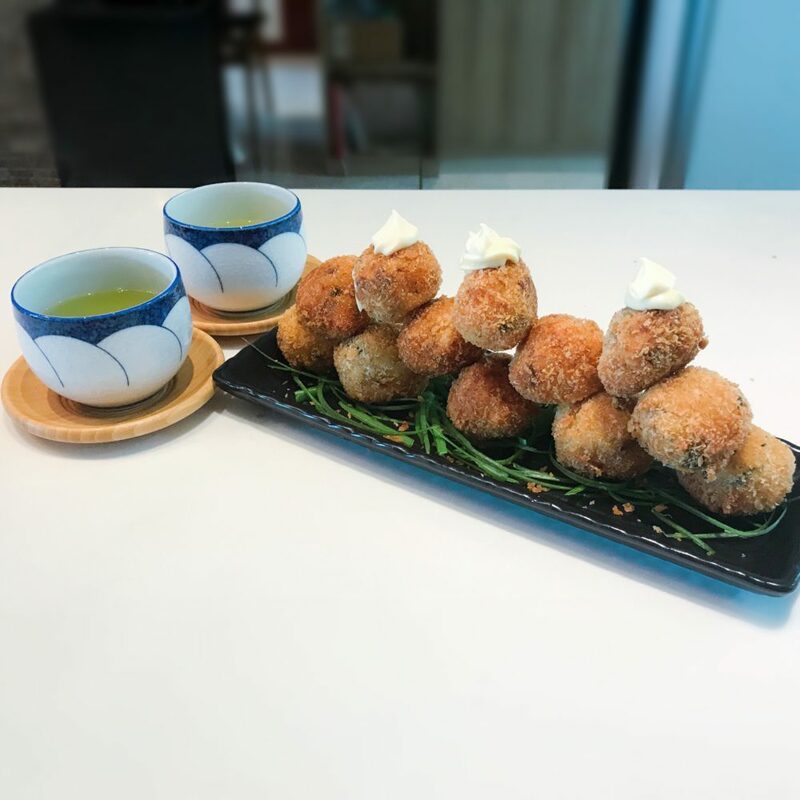 Step 5: Deep fry the rice balls until golden brown. Step 6: Let cool on a paper towel. 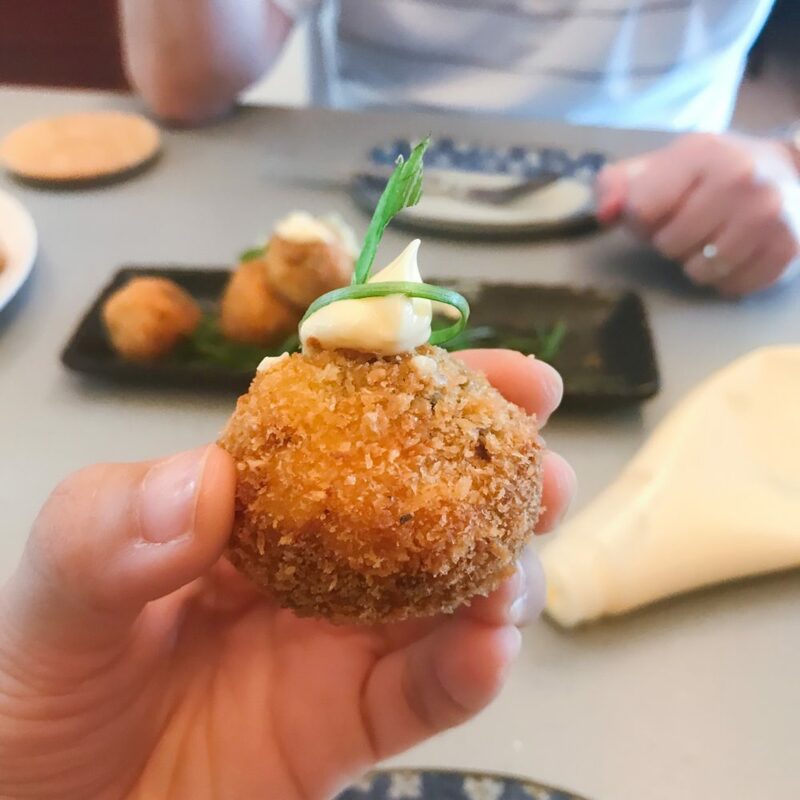 Serve best with Japanese mayonnaise and spring onions. I hope you enjoy the recipe. Leftover rice can be fun and delicious.